Chocolatemix is maintained by Chromite and Yume, who both decided to randomly create this to post about their various interests. This can range from games, novels, comics, music, or even our own projects. Whatever it is, we hope you enjoy reading! Jellyfish pixels are from Shizoo Design. The content in question we blog about belong to their respective owners, we do not mean to reproduce any content with the intention of harming them. Otherwise, our posts are our own efforts. As such, please don’t copy and paste our posts elsewhere no matter how small the amount. Please just link to our posts/credit to our posts, or just drop us a note first. Also, please don’t direct-link any of the images on this blog. This blog is link-free, and we’ll be very happy to exchange links with blogs of related interests! Recently there was a pruning of blogs which no longer exist. But if your link was removed by mistake, sorry!! Please do give us a poke/comment on that. If there are any other queries, feel free to politely leave a comment. Here’s a bit more information about us and our favourites! Manga: Works by Ono Natsume, Yotsubato!, Emma a victorian romance. Character type: I have no idea, tell me if you notice a trend lol. Hello, thank you so much for your kind comment! Ahh and thank you for asking, we’ll be very happy to exchange links! 😀 I’m so glad to see you learning Japanese through (otome) games. We started out with Starry☆Sky too haha. Hope that you get to play and understand more games! Wow it’s interesting having a duo-writer otome blog 😀 I’ve been putting off my blogroll and I’d like to exchange links if you don’t mind! I have been following your blog for a while now- I really enjoy your content! 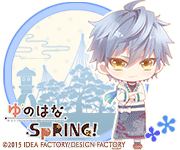 I’d love to add you to my blogroll as I’ve only recently started an otome-centric one. Please let me know if I’d be able to do so. Thank you for the kind words! 😀 I’ve been setting up the other little bits and pieces gradually over time. It doesn’t feel like hard work. Love your guys’ blog! otome games are so great and so are your reviews! 🙂 Just curious are you both fluent in Japanese? Did you grow up learning it in your family or did you learn in school? Thank you for taking up our ShinsenRenki on your blog before. This has been a great success owing to your passionate review and sincere devotion to the game. 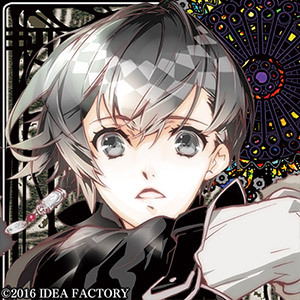 Now we are proudly announce to you that ShinsenRenki is now availble on Google Play! Since we launched Renki on this February in ios, we heard a myriad of voices from all over the world that wished for the Android version of it. And finally, Soji, Shinpachi, Hajime and Heisuke are coming on your screen! If you hve anything to say please feel free to contact us on our facebook page. Hi, thank you for your comment! Sorry, we can’t play the game as we do not have the devices to do so. As such we can’t do any reviews, but we’ll leave this comment here for others to see and hopefully take an interest. We wish you all the best! I enjoyed your DMMD and i was wondering if you’re both know mandarin? Thanks. I don’t quite see the link but yes, we both do know Mandarin (though it’s not our best language lol). Hi, thank you for your comment! Unfortunately, neither of us own any Apple products to play the game, and we don’t really play mobile games much. We hope that other people take an interest in your productions though, and wish your team all the best with your future ones! I was wondering if we could exchange links? though our (my friend and I) blog is still pretty new, I hope you don’t mind? Thanks! can i ask you a favor ..
but accidentally deleted the save data ..
so can you please share your save data with me..? i really really want Ukyou’s route back ..
sorry for my bad english , i will wait for your answer . Hi! I think I still have the save data. If you still want it, I could send it to your email which you inserted for the comment.